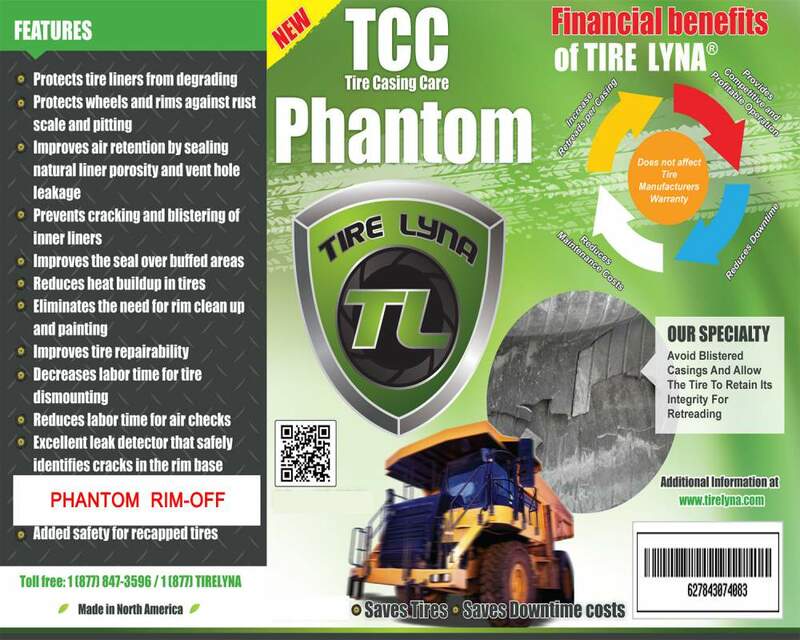 Tire Lyna Phantom Rim-Off is proving to be the best casing liner solution for OTR mining tires that need lubricity for quickly demounting rims; it has the best casing protection by far and is already proven to run larger OTR tires cooler by up to 3%. Also available in a water-less formula used with Nitrogen filled tires and transit buses. Contact us today for a free small sample. We want you to feel it with your fingers to compare it with your current product. Pricing starts at $8:00 per gallon. Are you an entrepreneur that is interested in marketing and selling the Phantom Rim-Off regionally, nationally and internationally?